A few weeks ago, my uncle came over to see how we were doing. He stayed for a few days and picked a small bunch of jambu air fruit at the front of our house. In english the fruit is known as water apple, rose apple or watery rose apple. It's edible and juicy, hence the name, but none of us had any. 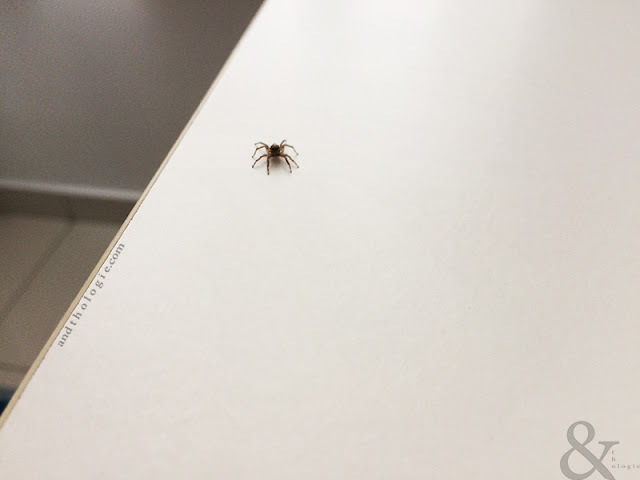 Photos: Please Don't Come Near Me Little Spider!